Divorce & physics -How are they alike? 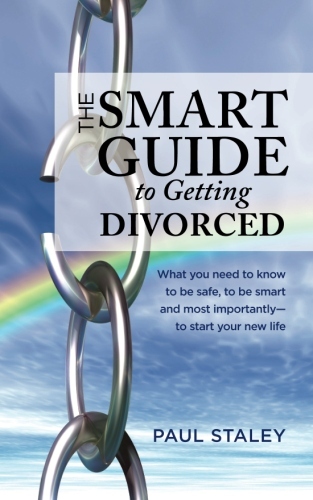 Paul Staley has some thoughts for the person who has heard one or more horror stories about divorces gone foul. Someone asked me what I want people to walk away – the one thing I want them to remember when they decide to go forward in their divorce ? I’ve talked to so many people, usually outside of my office and they have what I call “Cocktail Party Horror Stories” divorces. My hope is that I prevent one or two more of those from becoming an unnecessary, destructive reality. So what do I want you to know? Divorce and physics have a lot in common. Hold on for a minute I’ll explain. Remember from fourth grade science a conversation about inertia the first law of Motion and Newton? An object in motion stays in motion. It will remain in motion unless someone or something stops it. Then there’s the fact that every action creates an equal and opposite reaction. Before I go all Zen on you, you might ask yourself: How does that apply to my divorce and the child custody issues that I face? I’ve seen relatively simple cases end up looking like World War III because someone pushed the “motion” button on some issue. It all began with a simple declaration. Then, a reaction to that declaration. Next, an escalation by the other party (again). And of course, that had to be answered. Within the space of few months, the other parent, who had initially had no qualms about my client’s parenting ability, had crescendo-ed to allegations of neglect bordering on child abuse. Whatever you decide to do or how to approach your divorce, you need to remember that the best results are usually to those with the clearest goals. When you set something in motion there will be a response. Those people that have taken the time to define their goals, what’s really important to them, seemed to move through the process more easily. They limit the amount of energy expended, because they are clear on the things that are important to them. Divorce gets ugliest when you have too many issues on the table, all needing decisions. Setting too many things in motion is both emotionally and financially exhausting. Previous post: Who will get custody of our children? Next post: Who should leave the house in a divorce first?